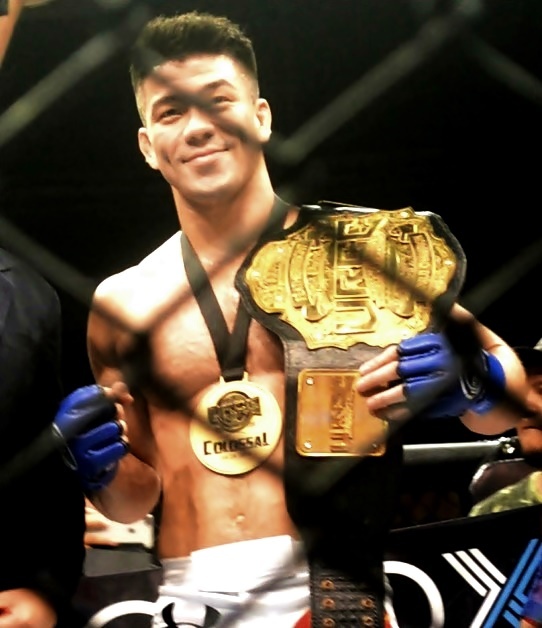 Fighting out of the Philippines, Mark “Mugen” Striegl, 30, was recently crowned the new featherweight champion of the Universal Reality Combat Championship, which was renamed the URCC Global. The mixed martial artist who is of Filipino and American descent dethroned Do Gyeom “The Undead” Lee, 27, of South Korea. Striegl and Lee headlined “URCC: Colossal” on September 29, 2018 at the Araneta Coliseum in Cubao, Quezon City, Metro Manila, Philippines. The Filipino challenger submitted the Korean defending champion via standing guillotine choke in the first round. Since 2011, Striegl has been residing in Baguio City. During his training camp for “URCC: Colossal,” he would travel to Metro Manila and to other countries. The URCC Global may ask Striegl to defend his title before the year ends or allow him to take a break for the rest of the year and go back to the cage in 2019. Either way, the newly crowned URCC Global Featherweight Champion is ready. By defeating Lee at “URCC: Colossal,” Striegl improved his professional MMA record to 18 wins and 2 losses. On the other hand, Lee’s record downgraded to 5 wins and 2 losses. Originally scheduled on September 1, 2018, “URCC: Colossal” marked Striegl’s fifth URCC bout. The Baguio City resident is undefeated in the promotion.